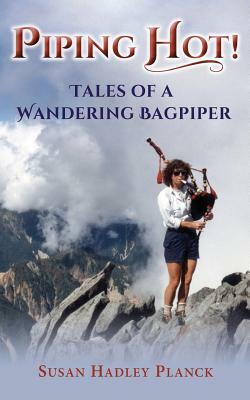 Join the zany adventures and crazy gigs of Susan Hadley Planck as she mixes the culture of Scottish music with those of China, Japan, and Chile, all with a twist of humor that ties them together. What was it like to play bagpipes to Chinese performing the martial art of Tai Chi? Or on the Great Wall of China? The top of Fujiyama in Japan? At the base of Mt. Fitzroy in South America? Or to compete throughout the United States and in Scotland with her band? Imagine being one of 10,000 pipers marching down from Edinburgh Castle on the Royal Mile for the Millennium parade in the year 2000, and Prince Charles walks onto the competition grounds just as the author's band began to play in their first Scottish competition. Peek inside the unique antics of bagpipe bands--the members' personalities, their peripatetic lifestyles, and maddening struggles to get their bagpipes simply to work. Who are these people anyway and what attracted them to bagpipes in the first place? Discover how music--even as it is expressed through bagpipes--really is the international language.